Discover the genius of Ramon Valera. Back in the day, the annual Kahirup ball, hosted by Negrense sugar barons, was a post-World War II showcase of the region's wealth. And if you happened to be at the Manila Hotel on the night of the ball, you would probably spot a few fashion scouts hanging out in its storied lobby. These spies would patiently wait to catch a glimpse of the ball’s attendees who had spent hours getting “stoned,” a term in describing how women would adorn themselves with glittering jewels. The spies would jot down notes and take mental records of the women’s ball gowns, especially those by Ramon Valera so they could attempt to duplicate them later on. Ramon's works were among the most envied. During the height of his fame, the fashion designer abhorred his colleagues and knew for a fact that his designs were about to be widely copied. Just a week after the ball, replicas of Valera’s creations would already be on display at his rivals' ateliers. Ramon, extolled as the local Christian Dior, paved his beginnings as the first prominent male fashion designer during the early 1930s. 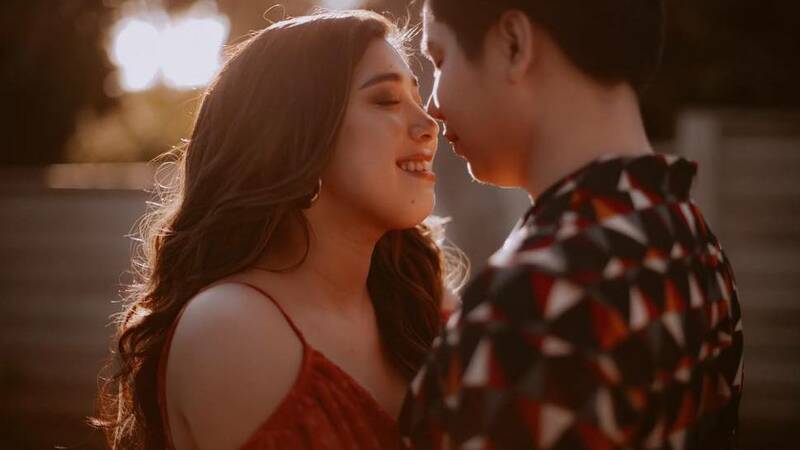 His story began as a senior high school student at La Salle, when he developed a talent for designing dresses meant for younger sisters, Lulu and Didi. 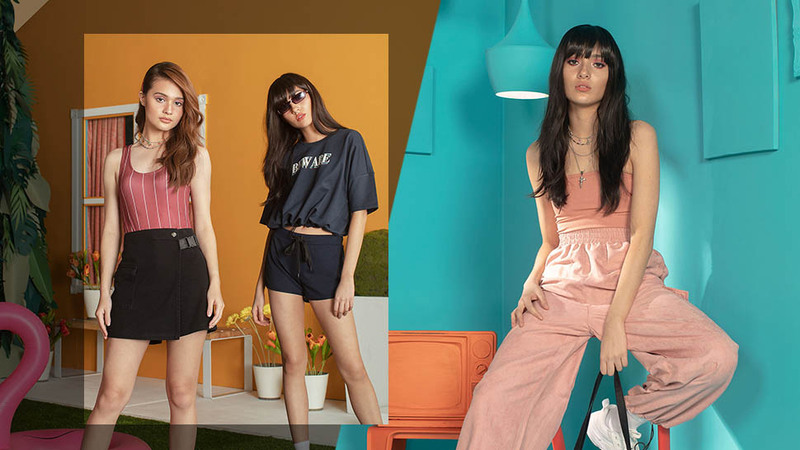 It was within the confines of a small boutique called Manila Fashions in the recently revived Escolta block that he inherited his parents’ knowledge of the craft. 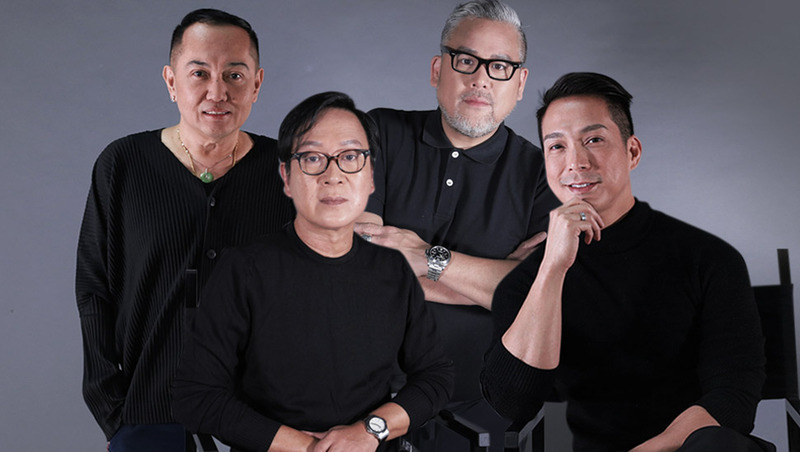 He eventually pursued Commerce at Far Eastern University, but strayed from that path and practiced his passion until he became one of, if not the most, revered male designers in Philippine history. This Goliath of a feat was achieved, even if “Ramoning,” as his nieces called him, solely educated himself on technicalities and theories of design. 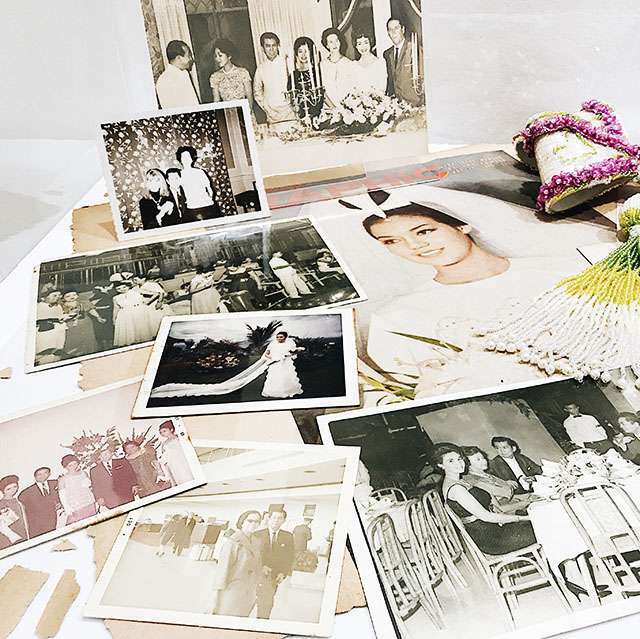 Although he passed away in 1972, the designer's memory was momentarily resurrected at a recent exhibit at De La Salle-College of Saint Benilde, which celebrated his work. On the 12th floor of the school building, the gallery gleamed with 32 of his vibrant dresses, on loan from the families of his past clients, and all in mint condition. A closer inspection of each gown’s intricate details showed its maker had not settled for anything less than perfection. 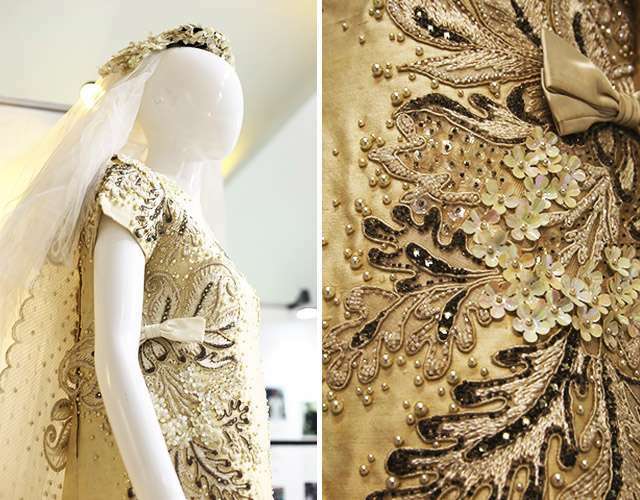 His mastery of beading showcased Filipino craftsmanship at its finest and its silhouettes were way ahead of their time. Each haute couture gown had been painstakingly beaded by hand during a pre-computer age. More an artist and visionary than a fashion designer, he moved the terno’s design forward and launched it into the post-war era. Gerry Torres, curator of the Ramon Valera exhibit and CSB director of the Center for Campus Art, tells T&C that Valera did not invent the butterfly sleeve, but his work was best known for it. His work made way for a rebirth of the butterfly sleeves, which he provided with the firm structure we are familiar with today. His reimagined butterfly sleeves would eventually become the defining feature of the terno. 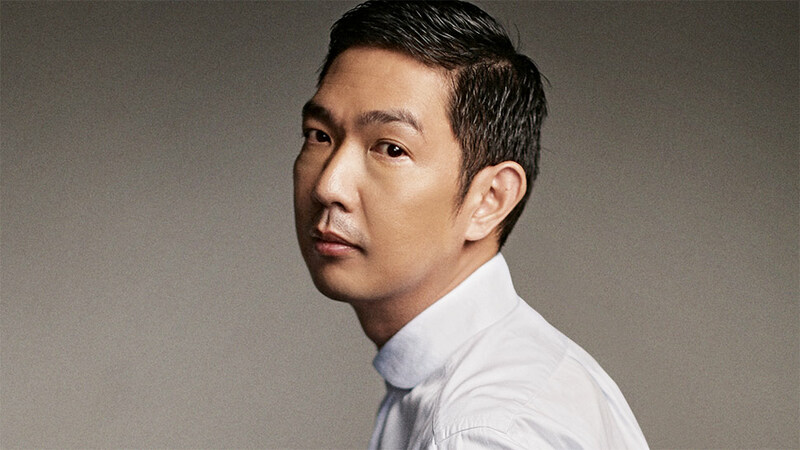 An influencer in his own right, Ramon's innovations quickly spread and were widely embraced by Manila’s upper class. Born of the elite, he moved in the circles of the country’s well-heeled—from socialites to debutantes to politician’s wives. 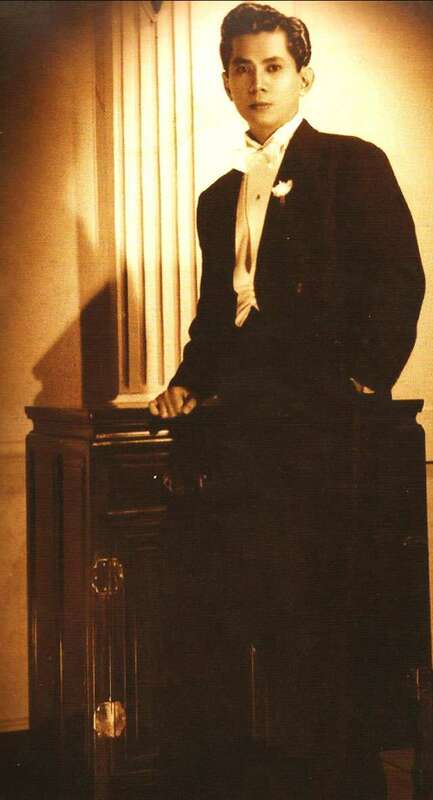 Among his muses were society belles Elvira Manahan, Chona Kasten, Imelda Cojuangco, Baby Fores, and Gloria Romero. 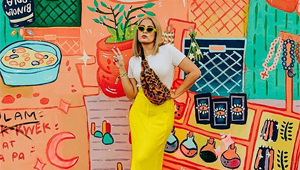 These cosmopolitan society women knew their fashion and had the means to procure what they wanted. They were regularly exposed to international trends and had the resources to procure exported goods in an instant. “The fact that they respected Valera was a testament to their admiration of his talent and they paid its price. Valera, of course, gave them their money’s worth,” says the curator. Owning a wardrobe filled with Valera gowns was not cheap. 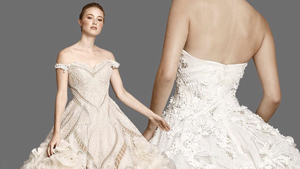 At its prime, a gown cost the same average price as one farm tractor, which at that time was six thousand pesos, and today would be the equivalent of about a million. But that was the milieu the designer lived in. Economically, the country was blossoming, carefully positioning itself as a resilient, newly independent nation. “The Filipinos back then were proud of themselves. Yes, they came from a very bad war but they wanted to pick themselves up quickly. In the ‘50s and ‘60s, people wanted to forget the war and look ahead—modernize! Westernize!” adds Gerry. That’s where Ramon came in. His creations clothed the members of Filipino society with a new ceremonial garment to lead them into the fresh start they sought. 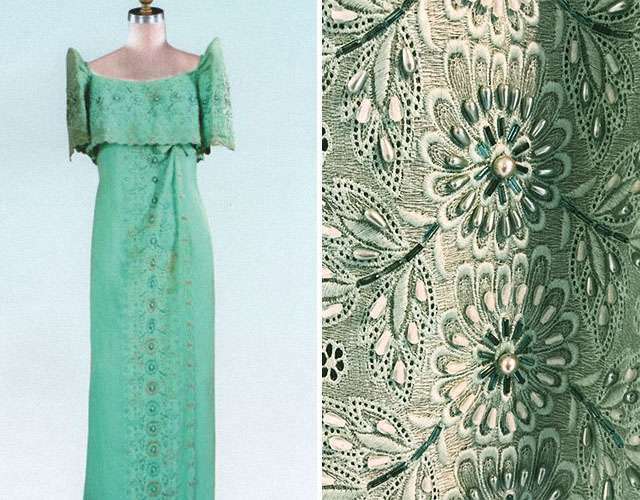 A terno he designed for Luz Magsaysay, which consisted of Swiss embroidered fabric. 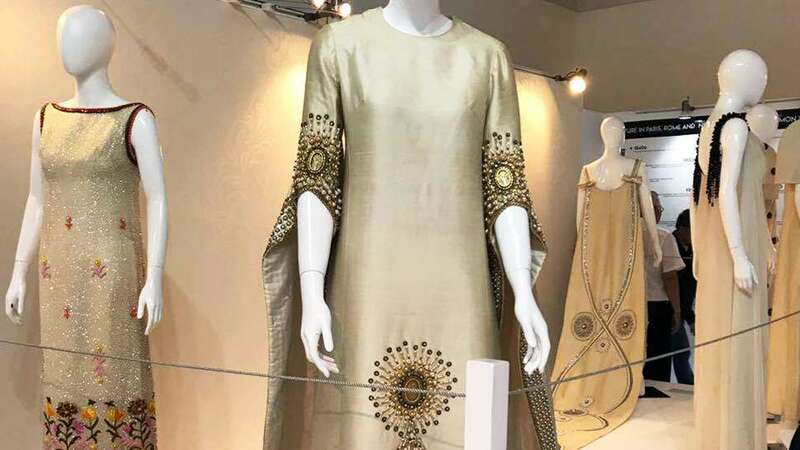 The embroidery was dotted with tiny seed pearls of light aquamarin color. In many ways, he projected his patriotism. 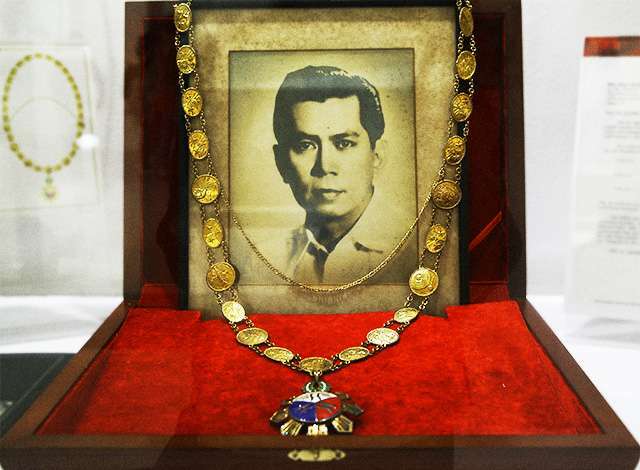 He, like many other Filipinos of his time, was proud of his homeland. He refused to work outside of the country, and rejected the great Cristobal Balenciaga, who offered him a partnership at his atelier. 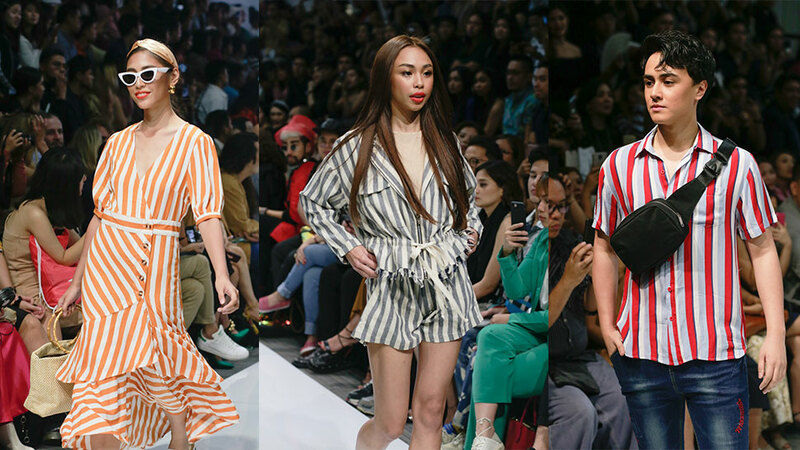 Upfront and center, the most powerful women in the political sphere rightfully took their places at Ramon's invite-only fashion shows. Front row usuals consisted of an impressive batch of first ladies—Eva Macapagal, Imelda Marcos, and Leonila Garcia all made appearances. 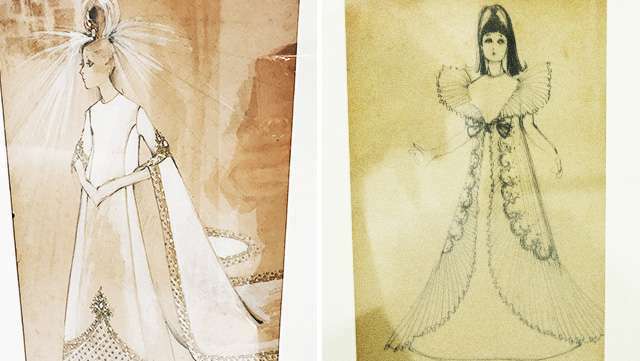 Each First Lady, from Mrs. Quezon all the way to Mrs. Marcos, owned two to three Valera designs. This was with the exception of Macapagal, but he did design a dress or two for her daughter, the former President Gloria Macapagal-Arroyo. 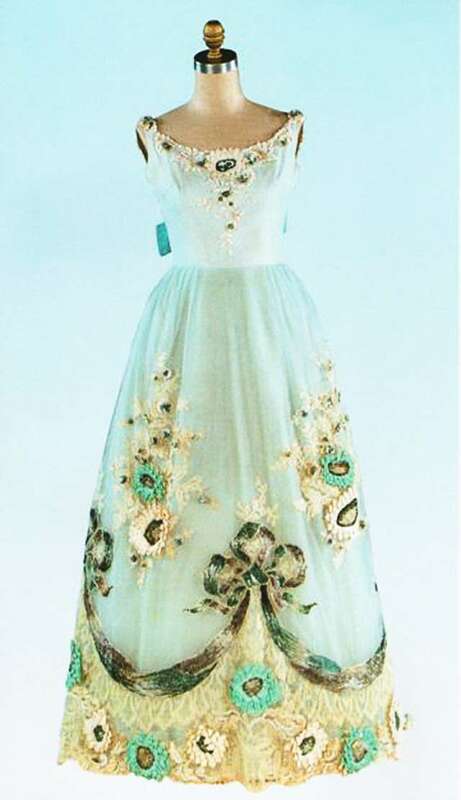 The gown Valera designed for the 18th birthday of Zenaida Tantoco. It was made from fine Swiss lace with organza ribbonettes. Aside from a casual Balenciaga offer, Valera's work warranted attention from international leaders. His scope of influence reached opposite corners of the globe, through his jetset clientele who freely and unknowingly carried the Valera signature and marketed his work. Included among his belongings were correspondence letters with U.S. First Lady Claudia Alta Johnson, wife of President Lyndon B. Johnson, and Queen Sirikit of Thailand, queen consort to the recently deceased King Bhumibol Adulyadej. Never short of muses, he set his sights on one girl in particular. But in a tragic twist of fate, she died just before they married. Instead of searching for another prospect, he vowed to become a bachelor for life and dedicated his remaining years to his craft. 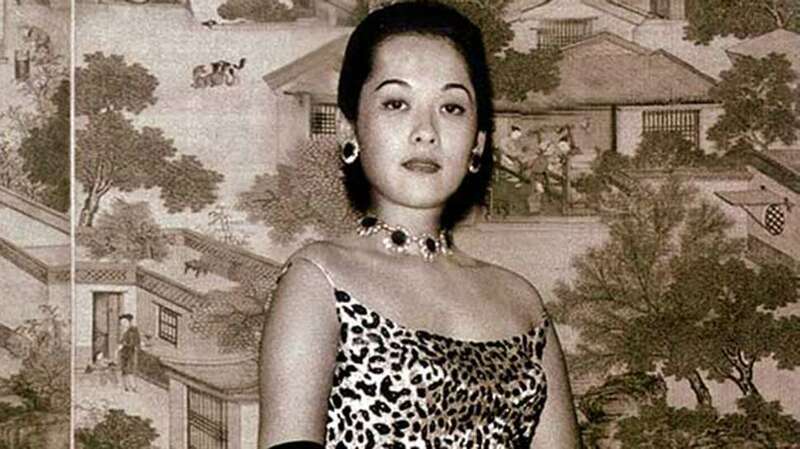 On May 25, 1972, at the age of 61, the Filipino designer succumbed to a fatal heart attack. While he lived, he was regarded as the greatest male designer of his time, and 34 years after his death, the National Commission for Culture and the Arts awarded him the title National Artist, a pioneering achievement in the field of fashion design. 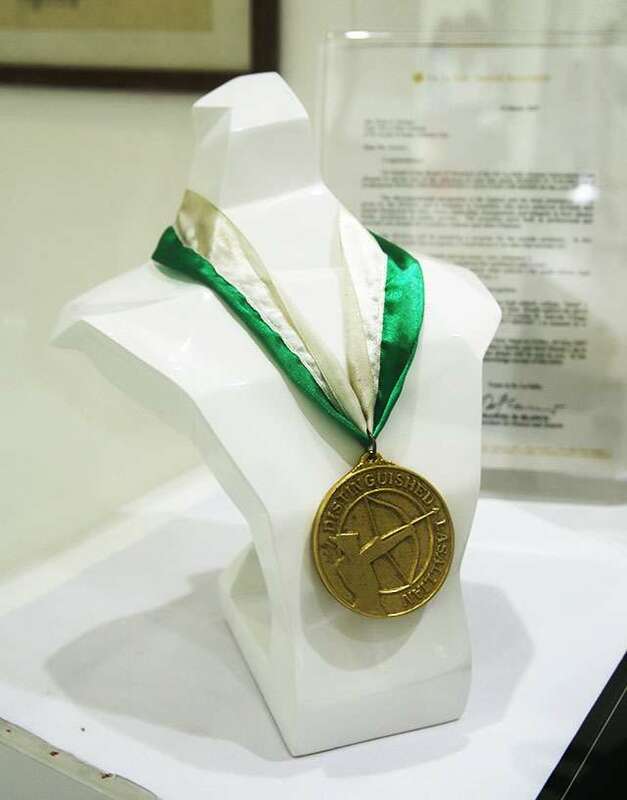 “Valera helped mold generations of artists and helped fashion to become no less than a nation’s sense of aesthetics,” the official proclamation by the NCCA read. Underneath a glass case, the golden medal lay beside the document, on display for exhibit-goers to appreciate. For all his known talents, he had his own quirks. His loyal clients knew better than to expect to see the final output early on. “The clients would not have a full idea of what their gown’s design will be. It would just be seen on the day itself but they put their trust in him,” the curator said. Stories were that he would at times deliver the garment just two hours shy of a wedding or party. Sketches of tall, slender figures accented with sharp shoulders and barely visibly hips were drawn donning simplistic garments. 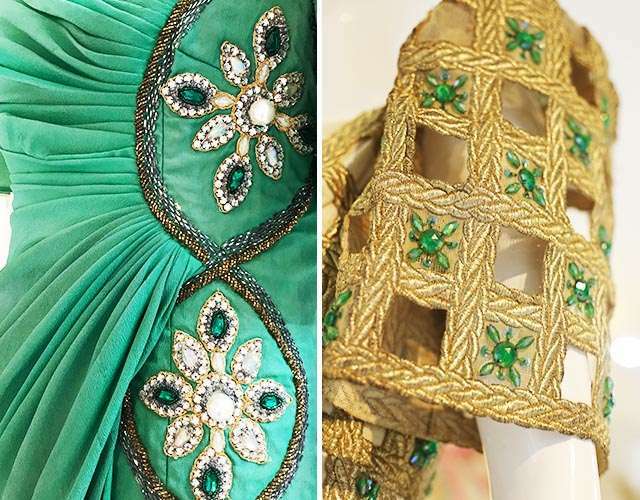 The designer’s sketches would not even begin to do justice to their life-size couture counterparts, each hem thought out, and every bead purposefully intact. Its wearers were instantly tagged as scene-stealers at society functions. Reflecting his handcrafted work, his clientele was handpicked, as well. 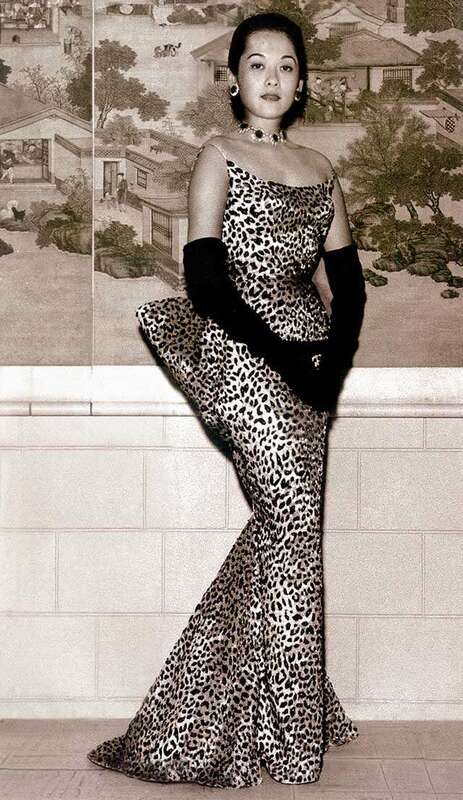 Actress Gloria Romero credited him for lending the stars some stature. Whoever he chose to dress would become the flavor du jour, immediately deserving of attention in high society, and thus caused the worlds of society and celebrity to intertwine. 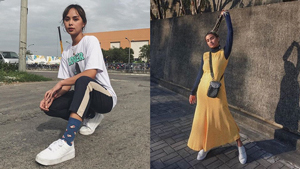 In the last decade of his life, Ramon released an annual list of best-dressed women, columnist George Sison wrote in the Philippine Daily Inquirer. These lists were released during fundraisers, to gain the support those part of it, the columnist adds. 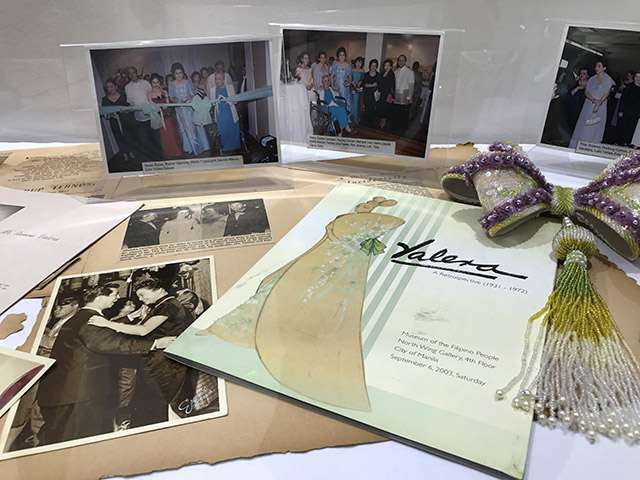 Three-time awardees were automatically catapulted to Valera’s own hall of fame of fashion, which consisted of five names: Priscilla Sison, Chona Kasten, Elvira Manahan, Imelda Cojuangco, and Baby Fores. To come up with his annual list, George said he followed these principles: “(1) They are meticulous in their clothes from cloth materials to the smallest stitch in the hemline; (2) they all own originals, from world-famous houses of fashion in Paris, Italy, and the United States; (3) each one is equipped with a bank account that could easily launch a thousand gowns a year; (4) all are endowed with good looks and a trim figure; and (5) general grooming, which includes hairstyle, shoes, bags and jewelry.” Even though decisions were meant to be sartorial, the list ironically required women to possess exceptional genetic background and outstanding financial status. But women continued to heed his word as law. 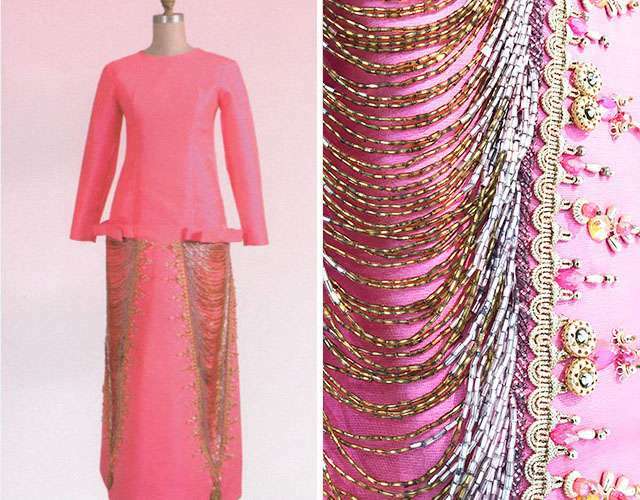 A fuchsia alaskin Muslim-inspired gown he designed for Delza Villonco Lazatin. At the tips of each cascading V are two tamburin medallions. *This story originally appear in Townandcountry.ph. Minor edits have been made by the Preview.ph editors.